You knew it was coming and yet it kind of snuck up on you, too, didn’t it? That first baby shower invitation since losing your baby. It’s hard—accepting the fact that the world spins onward when our own seems to have tipped right off its axis. 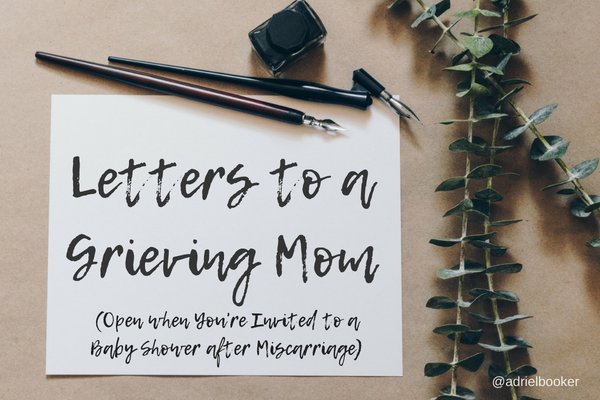 I don’t know if you feel like you need permission or not, but I’m going to issue it just in case: You don’t have to attend the baby shower. Really. This is your choice. If you feel it will break you then think about how you can bless your friend without attending. Can you make a dish for the host to share? Send a card and a gift? 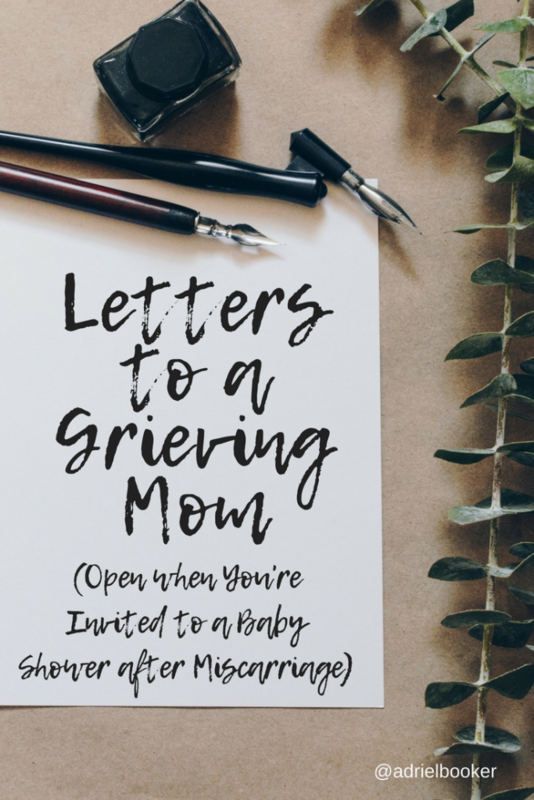 Perhaps you can call your friend or write a letter explaining how you are so excited about celebrating her baby and yet don’t feel capable of holding it together in front of all of her friends. Be honest and vulnerable and tell her you’re afraid you’ll burst into tears and ruin her shower, making everyone feel awkward for celebrating in the midst of your pain. She may be disappointed, and yes, it’s possible she’ll think you’re over-reacting if empathy isn’t high in her strengths. But it’s more likely she’ll respect your honesty. She’ll think you’re brave for sharing. She’ll wish there was something she could do to ease your grief. Not all friends are this wonderful, but my hope is that you’ve found friends who are. I was pregnant at the time, close to the end of my first trimester, and yet I was living with a lot of anxiety about the pregnancy. You’d think having a baby in my own womb would give me courage to attend the shower with confidence but it didn’t. I felt as vulnerable and alone as I ever had, biting my lip as I walked up the stairs and took a deep breath before entering into the party. Here’s the thing: I didn’t enjoy the party. It was hard for me. I felt like any moment I might bust into tears. (Being super charged with pregnancy hormones surely didn’t help.) I engaged in small talk with women I had never met and I tried to tap into the joy I genuinely felt toward my sister-in-law and her baby. And yet it was hard. The whole thing was hard. I’m telling you this little story because I think sometimes the brave thing is staying home from the shower. Other times the brave thing is going. Either way, it’s going to be hard. So what is it your heart really wants for this specific time and invitation and relationship? Will not attending cause a rift in an already fragile friendship? Perhaps you should consider going, but then have another appointment set up mid-party that you have to leave early for. Will you feel resentful if you drag yourself there and grit your teeth through the whole thing? Will you regret not going? Perhaps if you feel you must go, you can consider having a trusted, mutual friend at the party who will cover for you should you need to leave abruptly. No one can answer these questions for you, but my point is that there is grace for whatever hard call you need to make. Help yourself forward by setting up the support you need in advance. Decide what you want and then own it. If at all possible, invite your friend in to your process. 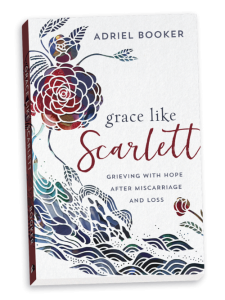 I pray she’ll respond with grace and that together—in whatever form feels right—you can celebrate the precious life that is her little one. I am dying inside. My baby’s name was Scarlett… she should be three months old right now. All I want is a rainbow baby and I don’t even know if I’ll get that. Because I’m not worth it to my husband. I am grieving in more ways then one and can’t stand the holidays right now. I feel fake and tired. I want to sleep until it’s all over. I see babies and bellies everywhere I go. It all hurts deeper then anything I can even express.